Home Lighting Better Lighting in a Flash! Better Lighting in a Flash! The 10 shoe-mount flash units we’ve picked to represent this advancing category are a far cry from the ones we mounted atop our 35mm SLRs back in the day. In short, they just provide better lighting. In effect, they’re cutting-edge CE accessories that provide a gateway into the advanced flash systems of the major camera makers. 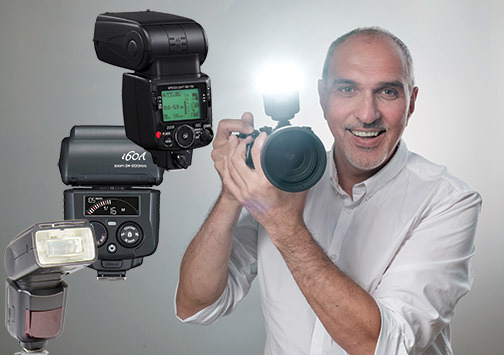 Moreover, they offer an amazing array of capabilities to allow users to shape the light, use them off-camera and integrate them into multiflash lighting setups that deliver truly professional lighting effects. 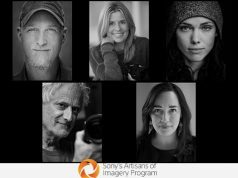 In addition, all deliver much greater output than a typical DSLR or mirrorless cameras’ built-in flash. They also offer such up-to-date features as wireless TTL using radio transmission or optical pulses. And they provide tilting, swiveling power zoom heads; built-in bounce cards; built-in or add-on wide-angle diffusers; and illuminated dot-matrix LCD readout panels. They also offer high-speed first- and second-shutter curtain sync. Furthermore, they run on four AA alkaline batteries, and some can use NiMH and lithium cells or optional plug-in power packs. Promoting these state-of-the art system accessories to your customers will not only elevate their picture-taking experience but will help to establish strong relationships based on your expertise. And, of course, it will bolster your bottom line. 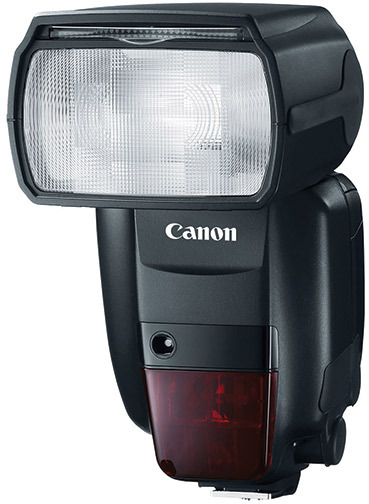 The best-selling high-output shoe-mount flash in Canon’s popular Speedlite range, the 600EX II-RT features built-in 2.4 GHz wireless radio transmission. It syncs with up to five additional E-TTL- and E-TTL II-compatible Canon flash units at distances up to 98.4 feet. As a result, it enables sophisticated multiflash lighting setups. It also delivers an impressive footage guide number of 197 (at ISO 100 and 200mm) and has a zoom range of 20–200mm (14mm with the included wide-angle panel). Moreover, its head tilts from -7º to 90º and rotates 180º laterally. The 600EX II-RT has a dot-matrix LCD function display, and it provides high-speed first- and second-shutter curtain sync. It comes with a built-in bounce adapter, a hard CTO filter set and a soft case. The unit also features water-resistant construction and is powered by four AA batteries. $579.99. 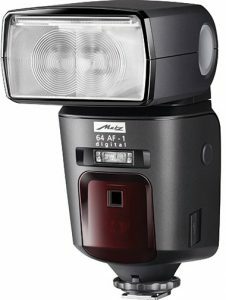 Available in dedicated Nikon i-TTL, Canon E-TTL/E-TTL II, Pentax P-TTL, Micro Four Thirds and Sony ADI/P-TTL configurations, this powerful shoe-mount digital flash from Metz packs a punch. It has a footage guide number of 210 (at ISO 100 and 200mm), and its zoom head covers a 24–200mm range (down to 12mm with the included diffuser panel). The head also tilts from -9º to 90º and swivels 120º right and 180º left. In addition, it provides wireless master/slave TTL functionality with radio control options, enabling sophisticated multiflash setups. It also features a built-in reflector modeling light and a touch-screen LCD. 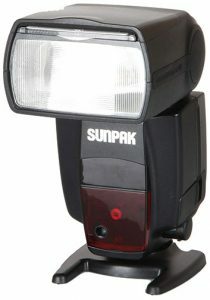 Also provided are high-speed first- and second-curtain sync, as well as a strobe mode. Bundled with a carrying bag and stand, it runs on four AA batteries. 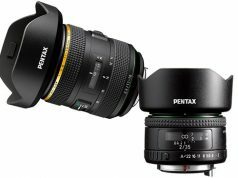 For Nikon, Canon and Sony, $459.95; MFT, $467.49; Pentax, $464.95. Featuring a commander mode for two-flash group, four-channel wireless TTL, this popular unit interfaces seamlessly with Nikon’s Creative Lighting System to control multiflash setups. 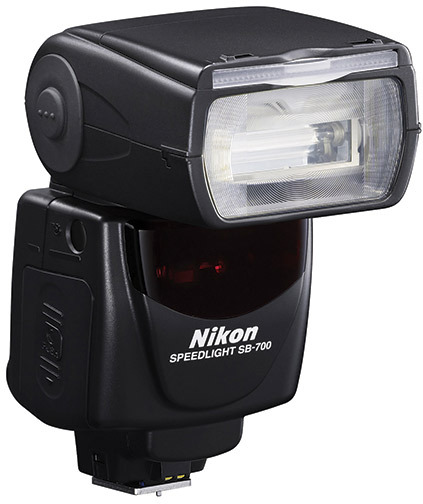 The SB-700 AF’s auto-zoom head covers a 24–120mm focal-length range with FX-format Nikons and provides 12mm coverage with its built-in wide-angle diffusion panel. In addition, it tilts from -7º to 90º as well as rotates 180º left and right. The SB-700 has three different output patterns—standard, even and center-weighted—to shape the light output. Moreover, it delivers a footage guide number of 128 feet (at ISO 100 and 200mm settings) as well as provides slow- and high-speed first- and second-curtain sync. Other features include: a backlit LCD info panel with nine selectable contrast levels; 11 custom settings; a modeling light; and automatic color filter detection. It runs on four AA batteries. $329.95. This sleek, powerful shoe-mount electronic flash is available in configurations for Canon E-TTL/E-TTL II, Nikon i-TTL and Sigma DSLRs. It delivers a footage guide number of 207 (at ISO 100 and 200mm). It also provides wireless slave and wireless TTL functionality to control multiflash setups. Its zoom head covers a 24–200mm range (17mm with included panel), tilts from -7º to 90º and rotates 180º left or right. It also offers a modeling light and high-speed sync for working at shutter speeds faster than 1/250 sec. In addition, it’s compatible with an optional FD-11 flash USB dock for firmware updates. The EF-630 runs on four AA batteries. $379. Featuring a 2.4 GHz transceiver with a 98-foot operating range, this Sony flash provides wireless TTL radio control to allow sophisticated multiflash lighting setups. In fact, it controls up to 15 flashes in five groups on one of 14 channels. 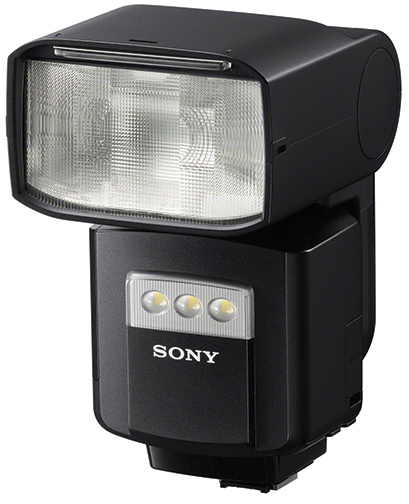 This robust Sony ADI/P-TTL dedicated unit delivers a footage guide number of 197 (at ISO 100 and 105mm). Its zoom head covers a 20–200mm range (14mm with the included wide-angle diffuser) and tilts from -8º to 150º. It also provides quick shift bounce for a 90º-left/right pivot (a total 180º rotation). The flash is equipped with an LED light and a quick navi interface via its dot matrix LCD panel. It also provides slow- and high-speed first- and second-curtain sync, a range of flash distribution settings and two memory settings. $599.99. 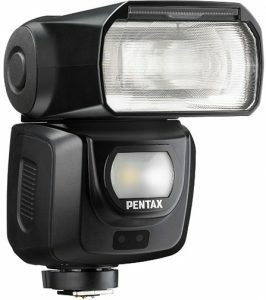 Compatible with the Pentax P-TTL electronic flash system, this rugged, high-performance unit features weatherproof construction. It provides an auto-zoom head with 24–85mm coverage (to 20mm with its built-in diffuser) that tilts from -10º to 90º. It also rotates 135º to the left and 180º to the right for full bounce functionality. The flash unit also offers a four-channel wireless master and slave TTL capability using an optical pulse system. It can trigger auxiliary flash units up to 13.1 feet away. 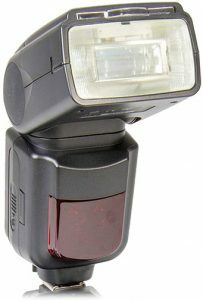 Its constant LED light has five output settings for shooting video and stills or to enhance AF performance in low light. 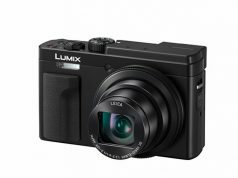 Other features include: multiflash mode for stroboscopic photography; contrast control sync; slow- and high-speed first- and second-shutter curtain sync; and a backlit LCD info panel. It runs on four AA alkaline, NiMH or lithium batteries. $579.95. Distributed by the PRO Group and sold through member stores, this high-spec, high-value unit delivers a footage guide number of 197 (at ISO 100 and 180mm). 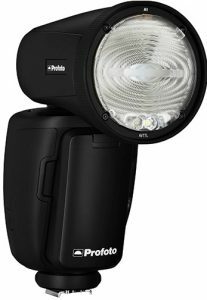 Its power zoom head tilts in six positions from -7º to 90º as well as swivels 180º to the right and 90º to the left for full bounce capability. Flash coverage of 24–180mm (18mm with a wide panel) is provided. Moreover, it offers wireless master/slave triggering using a three-group, four-channel optical pulse system. Four alkaline or NiMH batteries power it. The ProMaster 200SL is available in Nikon- and Canon-dedicated configurations. $229.95. 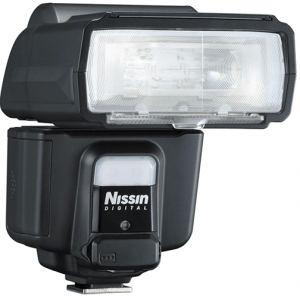 This attractive unit from Nissin delivers a footage guide number of 197 (at ISO 100 and 200mm), and its zoom head covers a 24–200mm range (16mm with its built-in diffusion panel). It tilts upward to 90º and provides a full 180º rotation to the right or left. Its eight-channel, three-group Nissin Air 2.4 GHz radio TTL system has an operating range of up to 98 feet. It thus permits a wide range of multiflash lighting control options. In addition, it has a built-in LED video light for constant illumination and to accommodate hybrid shooters. The unit also provides slow- and high-speed first- and second-curtain sync. The i60A runs on four AA batteries or an external pack that attaches to its HV socket. It comes in versions for Nikon i-TTL, Canon E-TTL/E-TTL II, Sony ADI/P-TTL, Fujifilm TTL and Micro Four Thirds TTL. $339.99. This compact Sunpak unit offers an impressive array of features at an attractive price point. It is available in Canon E-TT/E-TTL II and Sony ADI/P-TTL dedicated versions. It delivers a robust footage guide number of 190 feet (at ISO 100 and 105mm). The tilt/swivel zoom head covers a 24–105mm range (wider with the furnished wide-angle diffuser) and has a built-in bounce card. The PZ58X can be used as a wireless slave unit with TTL and has a back-mounted LCD control panel. Other features include: master mode; a variety of triggering capabilities; and high-speed sync. It comes with a case and a stand for off-camera use. The PZ58X runs on four AA batteries. Canon, $95.99; Sony, $125.99. Clearly aimed at pros and sophisticated enthusiasts, Profotos unique high-spec studio flash features a 2.75-inch round, tilting head that puts out natural-looking light with soft, gradual falloff. The override-able auto-zoom head covers focal lengths from 32–105mm, and the included wide-angle diffuser covers 14–24mm. 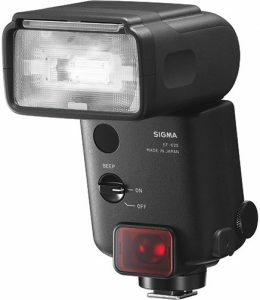 Other key features include: a large, high-res LCD; high-speed sync; an LED modeling light; nine-stop power range with 76Ws output; and optional wireless TTL that works with its built-in Air remote (six groups, eight channels). It’s powered by a Li-Ion battery and includes a 100–240v AC charger. In addition, its built-in transceiver can be used with compatible monolights. The Profoto A1 comes with a bounce card, a dome diffuser, a flash stand for off-camera use, a USB cable, a bag and a robust shoulder strap. Nikon i-TTL and Canon E-TTL/E-TTL II, $995. The ProMaster 200SL is now only $149.95.